You'll be £25.00 closer to your next £10.00 credit when you purchase Churchill's Secret Defence Army. What's this? Order within the next 4 hours, 55 minutes to get your order processed the next working day! By the spring of 1940 the phoney war suddenly became very real. In April Hitler's forces invaded Norway and a month later began their assault on France and the Low Countries. The Anglo/French allies were routed. The British escaped to fight another day after evacuating the bulk of their armies at Dunkirk. When on 10 May Winston Churchill became Prime Minister he soon discovered that the nation's defences were in a parlous state and a Nazi invasion was a very real possibility. By the end of the month nearly a million British citizens had joined the Local Defence Volunteers, soon to become the Home Guard, of Dad's Army fame. Churchill, however, realised the Home Guard was initially of little more than PR value, an important morale booster. A more serious deterrent needed to be created if Hitler's panzer divisions and the full might of the blitzkrieg was to be thwarted. Consequently, to supplement the sorely ill-equipped regular forces (all of their tanks and most of their artillery had been abandoned in France) a new, British resistance force was required. The intentionally blandly named 'Auxiliary Units' might have been the answer. Formed in the Summer of 1940, in great secrecy, this force of 'stay behind' saboteurs and assassins was intended to cause havoc behind the German front line should the Wehrmacht gain a foothold in Britain. Their mission was to go to cover, hiding in underground bunkers for the first 14 days of invasion and then springing up, at nightfall, to gather intelligence, interrogate prisoners, destroying fuel and ammunition dumps as they went about their deadly business. Each Auxilier knew his life expectancy was short, a matter of weeks. He also knew he could not tell a soul about his activities, even his spouse. 'Dads Army' they were not. Following the publication of his 50th anniversary history of the Battle of Britain, A Nation Alone, written in association with the RAF Museum, Arthur Ward looked deeper into the story of the Invasion Summer of 1940 and enjoyed unique opportunities to interview those involved with Auxiliary Units at the very top and in the front line, as volunteers in a six-man cell. “He places heavy emphasis throughout on the politico/military background and thinking that shaped the rationale behind these little known units. I enjoyed this book and agree with the author that the members of Britain's little known Auxiliary Units deserve to have their contributions to the defence of Britain in the Second World War further highlighted, as this publication does. In its seven chapters – liberally sprinkled with both contemporary and historic photos – the author takes the reader through the whole wartime story of the Auxillary Units from their inception to their standing down. He places heavy emphasis throughout on the politico/military background and thinking that shaped the rationale behind these little known units. All of this is most useful in setting the overall context of their story. The author has gone to great lengths to seek out surviving members of the Auxiliaries. Mr Ward concludes his book with the thought that the Auxiliaries deserve 'a better epitaph'. It is hard to disagree. Welcome updated version of Arthur Ward's considerable efforts accompanied by his skill in telling an interesting story. 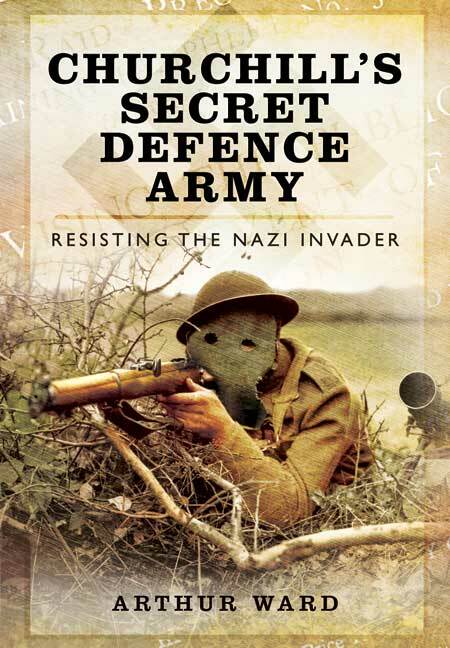 Churchill's Secret Defence Army is a throughly enjoyable read and easy to digest. It includes colour photographs of a number of the secret Operational Bases which show just how difficult to find such places would have been. I appreciate an informative book and I really like an entertaining read, so a book that encompasses both is a boon. Step up Arthur Ward, a longstanding Airfixianado whose previous works on the small scale world many of us know and love include books I have somewhere in the Barnes library which bring back memories of fingers glued together and kits which never quite turned out how they look on the box lids. Such is Arthur Ward’s descriptive power you are soon sucked into the world he conjures up in this magical book which is revised and re-issued under a new title. He is bursting with facts, people and reminiscences. The stuff bulges out of the pages and pops out of sentences a bit like a kind of history mad loony toons. You will get no complaints from me. ‘This is an update of Arthur’s 1997 book “Resisting the Nazi Invader” Arthur informs CART that this version has lots of new photography, a new introduction featuring interviews with CART founder Tom Sykes, Aux writer John Warwicker, and a significantly amended chapter that includes transcripts from interviews with Auxilier Bob Millard. Trained at art school, Arthur Ward has enjoyed a thirty-year career in media and marketing. His first love, however, is history, and he is particularly interested in the social and political aspects of military history and, as far removed from this as it is perhaps possible to get, the history of toys. He is a specialist about Airfix and is considered the leading authority about this famous brand. 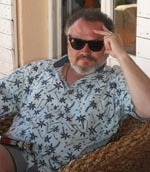 He also runs www.collectingfriends.com, the enthusiasts’ website he established with Radio Four's Peter Donaldson.